This new dental implant motor is the newest product of Victory. 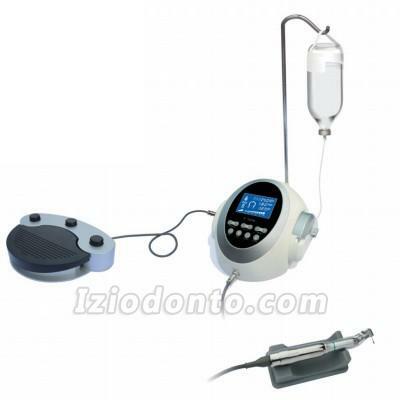 It same as NSK type dental implant machine dental implant motor, which is also with LCD display, control panel and multifunctional foot switch. This offer great convenience and hygiene caused by hand touch. 7. Ten kinds of program settings, each of which allows setting up different numerical values of rotation speed, torque, coolant flow, forward/reverse or reduction ratio for practical needs. 8. You could connect the contra angle of any ratio (For example 20:1) you need with our brushless motor.